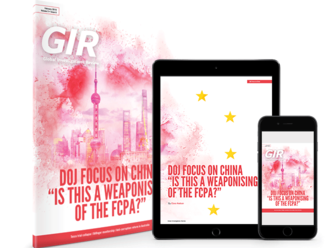 Over the coming days GIR will reveal the shortlists for its third annual awards ceremony, which will be held on 25 October in Washington, DC at the Mayflower Hotel. 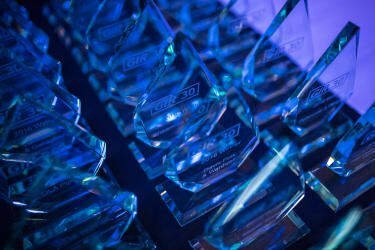 The 2018 Awards will take place on the evening of 25 October after the GIR Live DC Fall conference, which will take place in the afternoon. The black-tie event will provide a chance to celebrate the investigations lawyers and practices that have impressed most in the past year, and is held in aid of Swawou Layout Girl’s School in Kenema, Sierra Leone, which helps disadvantaged girls in the region. Austrac announced itself on the enforcement scene in 2018 when it imposed Australia’s largest-ever corporate fine on Commonwealth Bank of Australia (CBA) over the financial institution’s failure to prevent money laundering. The CBA agreed to pay a civil penalty of A$700 million in June after the Federal Court of Australia ordered the parties to enter mediation in August 2017. The settlement is a strong indication that Australia is taking a tougher stance on banks that flaunt anti-money-laundering rules. Argentina is still perceived as among the most corrupt countries in Latin America. But the country’s public prosecutor’s office has been working hard to address this negative reputation, and is investigating several high-profile bribery cases. One such case is against Argentina’s former president, Cristina Fernández de Kirchner, who on 17 September was indicted on charges that her administration accepted bribes from construction companies in exchange for public works contracts. She denies wrongdoing. The public prosecutor’s office is also investigating Brazilian construction company Odebrecht for allegedly paying $35 million in bribes to Argentinian officials from 2007 to 2014. The MACC has made a big splash in 2018 with its investigation into corruption tied to Malaysian development fund 1MDB. The MACC believes $4.5 billion was embezzled from 1MDB during the reign of former prime minister Najib Razak and is conducting its investigation in cooperation with Swiss and US authorities. The authority charged Najib, who denies wrongdoing, in July with abuse of power and criminal breach of trust over the matter. Najib was also charged on 20 September with 21 counts of money laundering and four counts of abuse of power. The charges relate to how $556 million ended up in Najib’s personal account. In June, the MACC issued arrest warrants for financier and former 1MDB consultant Jho Low and former director of SRC International – previously a unit of 1MDB – Nik Faisal Ariff Kamil. The investigation represents a huge turning point for the country. Described as one of the biggest corruption cases in the history of the oil sector, the Milan Prosecutor's Office is taking on oil and gas companies Eni and Royal Dutch Shell and their senior executives. The Anglo-Dutch Shell and Italian Eni will soon stand trial over corruption allegations surrounding their $1.3 billion deal to secure the rights to an oil bloc in Nigeria. All of the defendants, including Shell and Eni, deny wrongdoing. For a country marred with local corruption problems, the case brought by Italian prosecutors against high-profile companies is a strong sign that Italy is taking its fight against bribery seriously. A good outcome in the case could build on the success the agency had prosecuting oil services company Saipem, which a Milan court convicted of bribery in September 2018 over payments made to win energy contracts in Algeria. Registration for the awards is now open.